Located in Toucheng, 8.7 miles from Wushih Harbour Visitor Centre, Dali Yi International Hostel has a terrace and rooms with free WiFi access. Located around 8.7 miles from Lanyang Museum, the hostel is also 9.9 miles away from Toucheng Old Street. The property is 9.9 miles from Toucheng Beach and 9.9 miles from Toucheng Bathing Beach. One of our bestsellers in Yilan City! 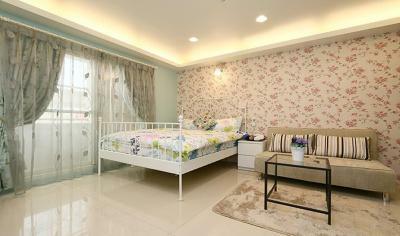 Emily B&B is set in Yilan City, 1.1 miles from Luna Plaza. Boasting a garden as well as a shared lounge, Van Park is located in Yilan City, within 1.4 miles of Lanyang Tourist Night Market and 1.6 miles of Yilan Dongmen Night Market. Complimentary WiFi is available.